Two months ago, if you told me I’d change my plan of thru-hiking the AT to section hiking, deliberately, I wouldn’t believe you. Why after all this planning would I change my mind? For over a year now I’ve done nothing but live and breathe the A.T. Thru-hiking was the plan and, to me, was the only acceptable way to hike it. But things change and not everyone’s journey is meant to be the same. So my hiking plans have changed from a thru-hike to a tale of two hikes and instead of departing March 21st, I am now departing Springer Mountain April 4th/5th. In addition to a date push back I will also now be a section hiker. My destination Harpers Ferry finishing the second half of the trail next year with my husband, Dylan. The reason why, to make what I am calling a ‘pilgrimage home’. Damascus, Maryland will always be the place I call my home. I lived there for 27 years and I’ve spent a lot of time hiking in Harpers Ferry, WV. 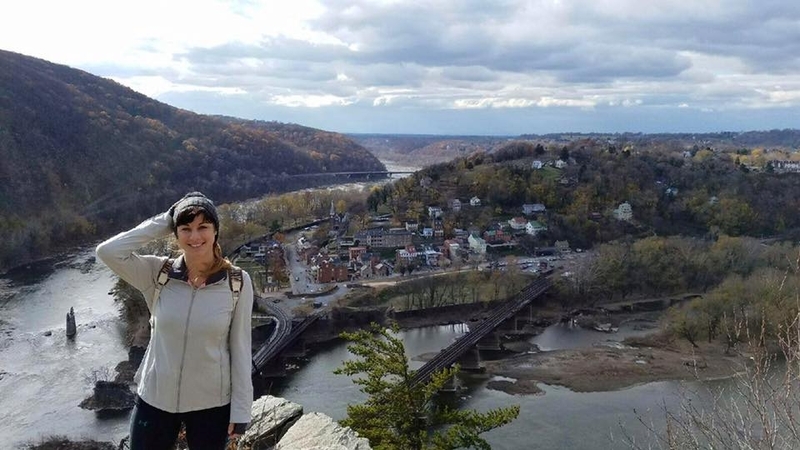 Harpers Ferry is less than an hour away from my hometown and one of my favorite hiking spots close to home. 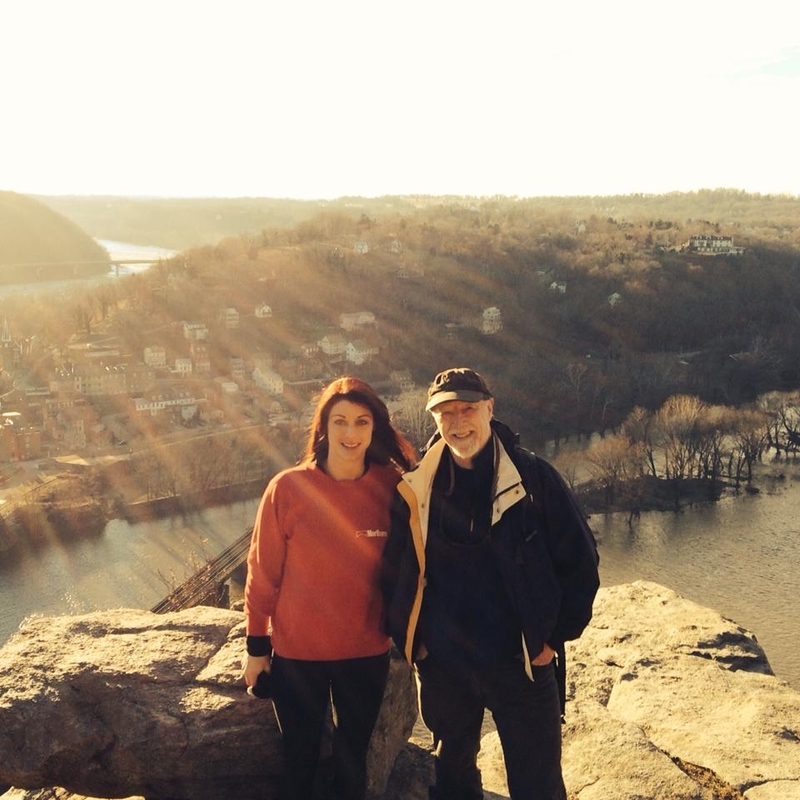 My fondest memory was hiking up to the Maryland Heights Overlook with my Dad on our annual Christmas Hike a few years ago. 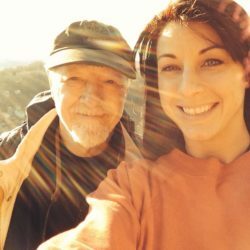 My dad, Lou, past away January 2016 and is buried in Maryland and I want to hike to him (once I get to Harpers Ferry I’ll have to catch a ride to the cemetery). The thought of not thru-hiking the entire trail in one go sounded absurd up until now; but I realized the part of this journey I’m excited most about is hiking “home”. Hiking home is my purpose. It’s something I have to do and can only do on my own. It’s a pilgrimage if you will. Well that’s what my husband called it anyway; but pilgrimage is probably the most appropriate word to describe the new journey. PILGRIMAGE: a journey; especially a long journey: one to a shrine or a sacred place. 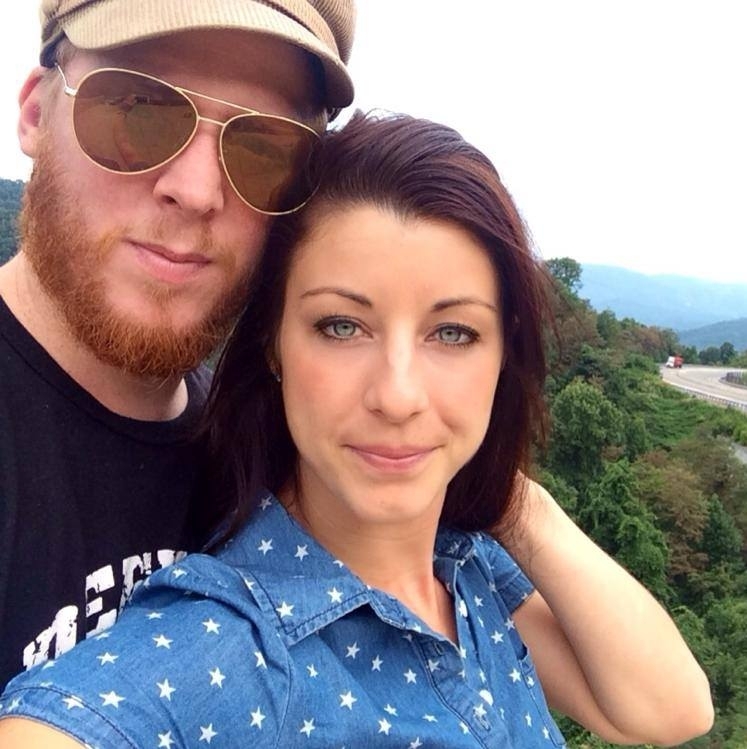 Once I complete my ‘pilgrimage’ my husband and I will complete the journey from Harpers Ferry to Mt. Katahdin together next year. The new plan is very exciting and kind of romantic to me. The first half of my hike will be hiking through my grief and to find closure. I’m ready to let go of my grief and I need to so me and my husband can move forward with our future. The second half of the hike will be a new start to my life. Completing this journey with my husband by my side is more or less a new beginning to our journey together. The journey feels more right to me now than it ever has before. Like they say “hike your own hike”. My name is Kristin but you can also call me ‘Half Moon’ or ‘Half Moon Lou’ a trail name I was given last year on the trail. 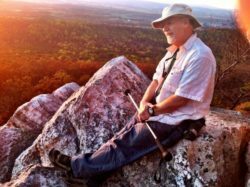 I was attempting a NOBO halfway section hike to Harpers Ferry, WV in 2017 when ten days in I found out I had to get my Gall Bladder removed and pulled off the trail. But I’m happy to be reattempting my hike this year, departing from where I left off at mile 69.3. My ten days on the AT were more than incredible and I can’t wait to get back out there and once again live on the trail.